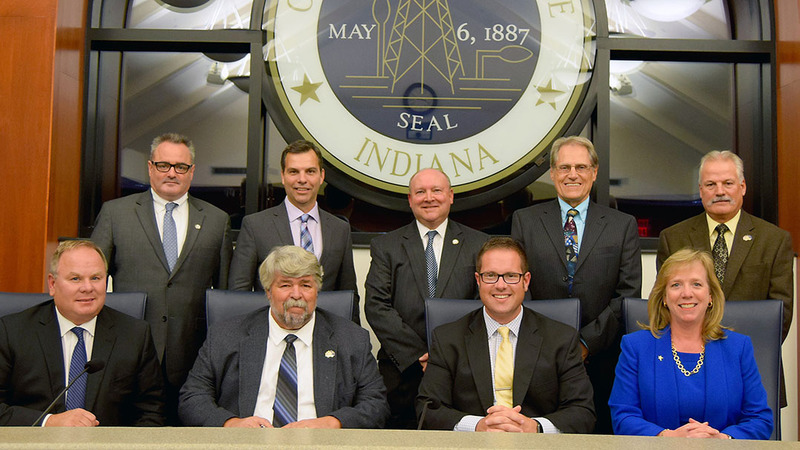 The Noblesville Common Council met for a regular meeting April 9 at city hall. Councilor Roy Johnson was absent from the meeting. The council will meet again at 7 p.m. April 23 in the city hall council chambers (second floor), 16 S. 10th St. For more, visit cityofnoblesville.org. What happened: Councilor Rick Taylor provided an update from the city’s tree board. What it means: Taylor said the tree board met April 1 to discuss planting trees in the median at Little Chicago and Hazel Dell roads. He also said the city will be celebrating Arbor Day on two occasions this year – by planting a red oak tree at 3 p.m. April 26 at Federal Hill Commons in honor of Mayor John Ditslear; and on May 4, during the first Noblesville Farmers Market, members of the tree board will hand out tree saplings, also a celebration of Noblesville received its 29th consecutive designation as a Tree City USA member. Lastly, Taylor said the Noblesville Street Dept. will soon begin annual pruning of trees as well as stump grinding for trees that had to be removed over the past year. What happened: Councilor Chris Jensen provided an update from the council’s roads committee. What it means: Jensen said the intersection of Carrigan Road, North Harbour Drive and Oak Bay Drive has been added to the city’s traffic study plan after residents requested it be looked at. “This is probably not an immediate need, but we wanted to get started with some of the planning on that as we some growth in that area moving forward,” Jensen said. Jensen also provided an update on the Midland Trace Trail, stating that phase three is “well under way,” that tree clearing is complete and that the hopeful completion date is Sept. 1. Jensen said the Levee Trail is set to be finished July 1. The 7,200-linear-foot trail will connect Morse Park to Carrigan Road along the east side of Morse Reservoir. What happened: The council approved an ordinance changing details of the city’s façade improvement grant program. What it means: The ordinance repeals and replaces past ordinances to make the grant program’s boundaries citywide. The ordinance also changes the funding source of the grant, from the Downtown TIF district to the city’s general fund. What happened: The council held public hearings for and unanimously approved ordinances for additional appropriations to the parks and recreation and motor vehicle highway funds. What it means: Each fund is being re-established to the 2019 budgeted amounts after changes were made by the Dept. of Local Government Finance, the council’s financial oversight body. Read more at youarecurrent.com. What happened: Councilors discussed new ordinances, amending the civilian employee personnel handbook and the police and fire employee benefits. What it means: Noblesville Human Resources Director Holly Ramon said changes include section revisions to provide clarification on city policies, to be compliant with state and federal employment laws and a record retention schedule added to several sections. Ramon said a request also is being made to give full-time employees three vacation days after they complete 90 days of employment, which would apply to all hired after Jan. 1, 2019. Currently, a new employee must wait one year to receive any vacation time. Because the ordinances were on their first reading, no action was taken. The council will vote at its next meeting. What happened: Councilors unanimously passed a memorandum of understanding between the city and the Noblesville Fraternal Order of Police Lodge No. 198. What it means: Noblesville Police Chief Kevin Jowitt presented the memorandum, which serves as the agreement between FOP Lodge No. 198, the police department’s bargaining unit, and the City of Noblesville. Jowitt said everything in the agreement has already been worked into the 2019 operating budget and does not require any additional funding. What happened: The council accepted a report of the Noblesville Redevelopment Commission 2018 activities. What happened: The council discussed a notification of a demolition permit filed in the city’s planning department for buildings at 77 and 83 S. Ninth St.
What it means: Planning Director Sarah Reed presented the notifications for the buildings, which are currently the Holt Legal Group and Ayer’s Real Estate buildings, making way for the future development of The Levinson, a residential, retail and parking project recently approved by the council. No action is required by the council, but it is required that the planning department officially notify the council.